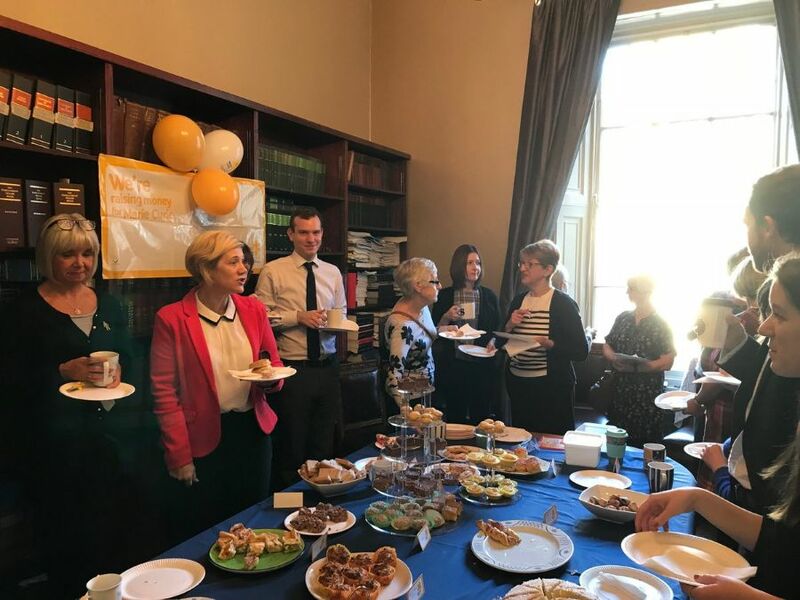 Lots of delicious home-baked cakes and savouries at our staff Blooming Great Tea Party to raise funds for Marie Curie Hospice, Edinburgh. We're very grateful to our neighbours Ice Hairdressing, Sleeping Beauty Salons & Spas, Waldorf Astoria Edinburgh - The Caledonian and Rogue Flowers for donating great prizes for our raffle. Much appreciated! Many thanks too to Cailtin Souter and Linda Reid for organising everything, and to our special guest, Jackie Raitt's young son, for drawing the winners!